When it comes to photography there is no bigger camera than the iPhone. It’s used by millions of people around the globe and is responsible for so many photos that it’s impossible for the other cameras to get a look-in. 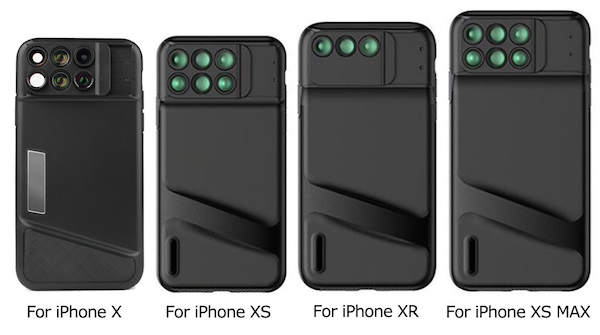 That’s likely why there are so many different accessories that are dedicated to taking iPhones and making them into even batter cameras, like this new 6-in-1 lens case for the iPhone XS, iPhone XS Max, iPhone XR, iPhone X, iPhone 8 Plus and iPhone 7 Plus. 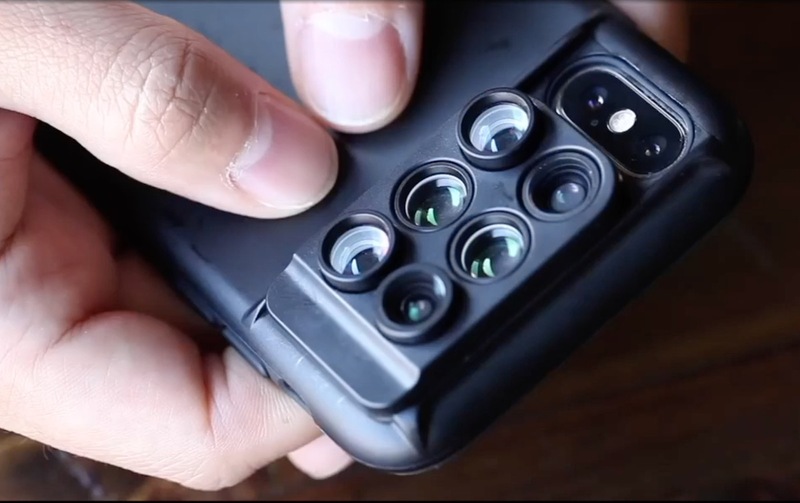 While the case is exactly that, a case, its main selling point is not the protection it provides (which it obviously does) but the six lenses that live in it. 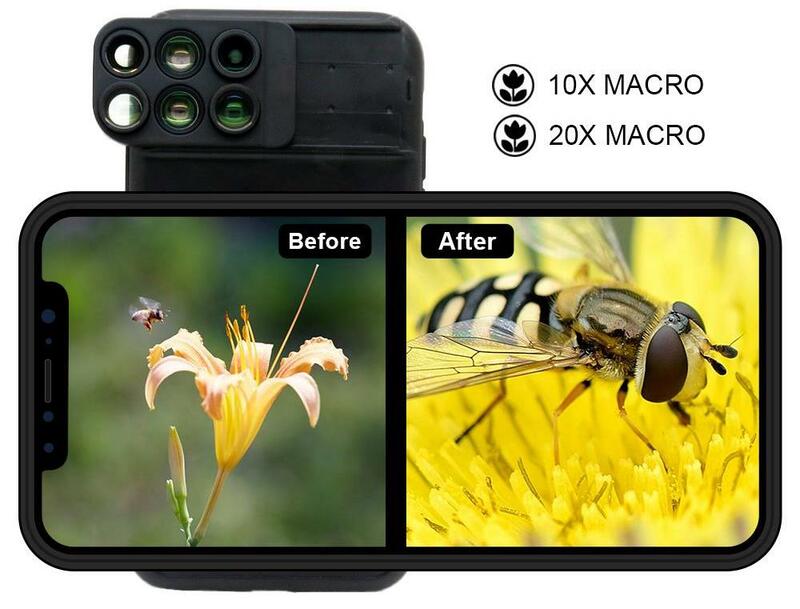 They are plentiful and offer different benefits depending on the lens chosen. 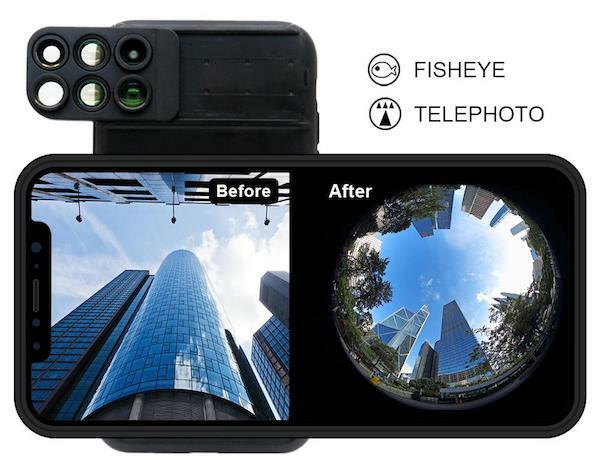 With its award winning design, this case lets iPhone users make full use of the dual-lens system already present in their phones by putting additional lens over them to take their photography game to the next DSLR-like level! Another 2x telephoto lens, because why not? 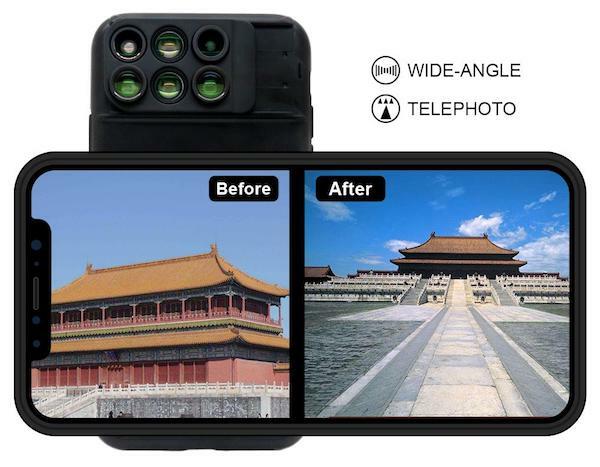 If you do just want to use the case without the lenses attached then that’s no problem, because they slide right off. That means that you can keep the lenses in a bag and then just slide them on as and when needed, something that will be of benefit to those who will want to use the case all the time, but only use the lenses when the need arises. Right now, the aforementioned 6-in-1 case can be had between $49.95 to $59.95 (depending on the model you get it for) although that ends soon, meaning the price will go back up between $79.95 to $109.95. But if you use promo code SPRINGC10 at check out, you can get further 10% discount on the listed price. This promo is applicable for limited time only. You can get yours now from here if interested! Now they need to make the case look beautiful. Why does this post keep getting put in front of newer post? Whats up with you guys promoting that crap site these days? its just aliexpress crap. you guys getting commission? ?